Jon Postel's technical influence can be seen at the very heart of many of the protocols which make the Internet work: TCP/IP determines the way data is moved through a network; SMTP allows us to send emails; and DNS, the Domain Name Service, helps people make sense of the Internet. He contributed to these and many other technologies. He studied at UCLA, ultimately gaining his Ph.D. in computer science in 1974. Those studies led to his early involvement in the ARPANET project, the packet switching network from which the modern Internet evolved. In addition, he was involved with Request For Comment (RFC) document series, which contains the standards and practices of the Internet's infrastructure. 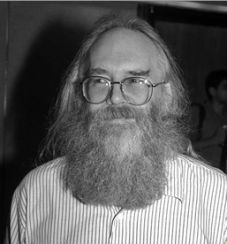 For almost three decades, Jon Postel was RFC Editor, shepherding drafts through the open consensus processes that characterize Internet development efforts. For many, Jon's greatest contribution to the Internet was his role in creating the Internet Assigned Numbers Authority (IANA). This task - which he volunteered to take on and which he at first performed manually - provided the stability the Internet's numbering and protocol management systems needed for it to grow and scale. He was also involved with the Los Nettos network (a regional network for the greater Los Angeles area) and was one of Internet Society's founders, the first individual member; and he served as a Trustee from 1993-98. He died October 16, 1998 at the age of 55.